The sun is shining, the snow is melting, and I can finally go outside without my earmuffs on!! Spring is well on its way!! 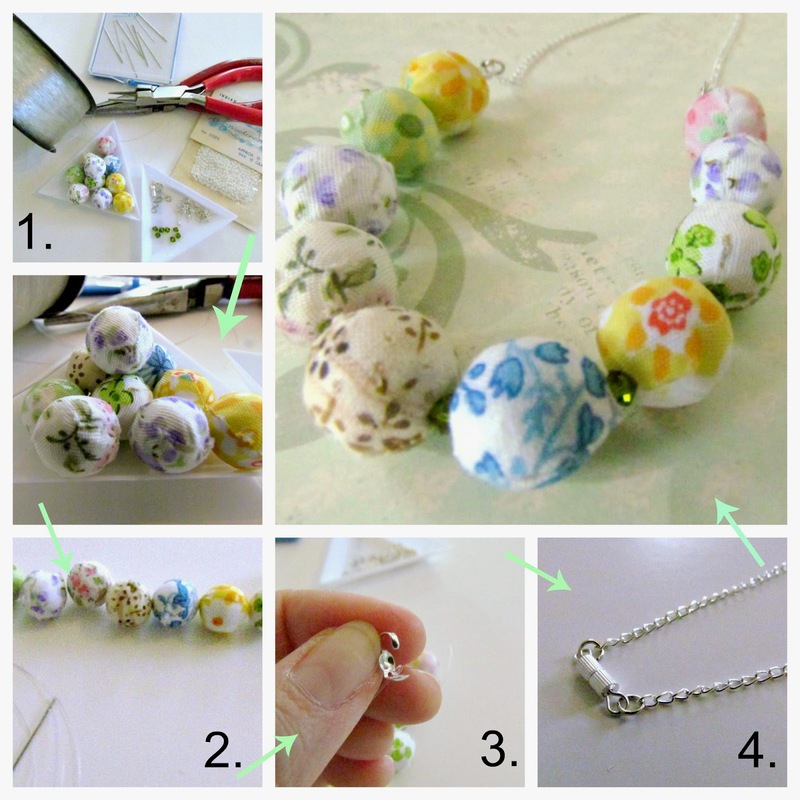 This necklace is pretty simple to make but is so pretty I know it will have big impact when it's on. 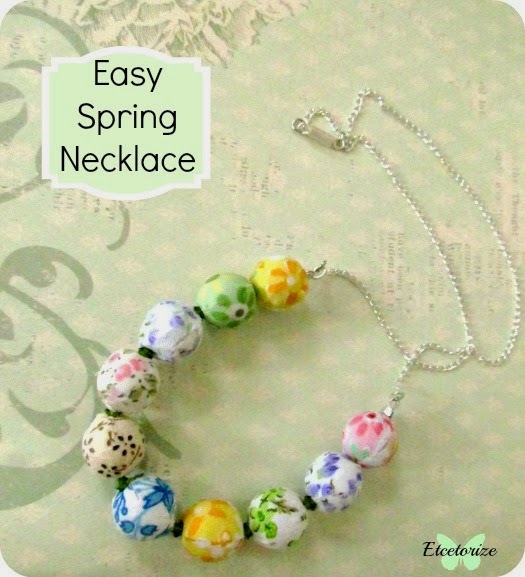 Just string your beads onto some clear fishing line, cap the ends, add some jump rings so that you can attach a chain, and then add your closure. See? Super easy! Hi Tamara, how gorgeous your neklace is! I love it!Pinned! That is really pretty. I am really drawn to all the fabric colored stuff this spring. Great job! Beautiful necklace!! The fabric colors you chose are just perfect...makes me want to go find my flip flops asap. :) Wish it was warm enough....we just acquired 6 inches of snow last night where I live in Colorado. The warm weather will be here before we know it, though. Thanks so much for sharing! !